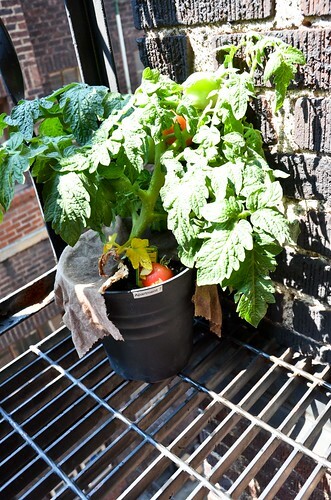 Well, the fire escape tomato plant started producing a few weeks ago. 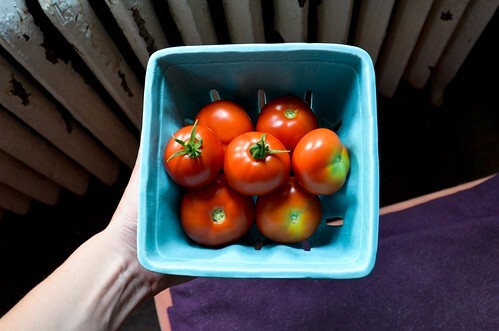 Now we have a small collection of tiny tomatoes that taste sort of...like nothing. Maybe next year (if we weren't moving) I'd try some cherry tomatoes. Something small and flavorful. I'm jealous. 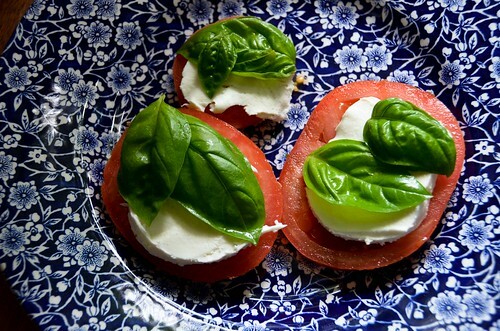 We tried our hand at tomato plants last year. 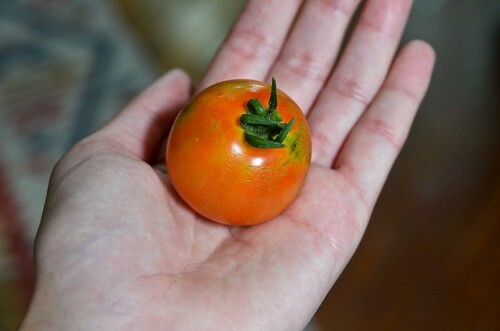 They yielded exactly one small tomato. ONE. Sigh.